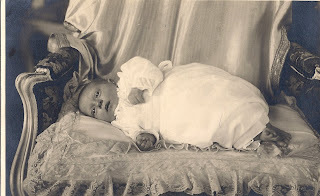 Princess Margarita Alice Thyra Viktoria Marie Louise Scholastica of Baden was born on July 14, 1932, the first of three children of Berthold, Margrave of Baden, and Princess Theodora of Greece and Denmark. Princess Margarita was raised at the family's home, Schloss Salem. 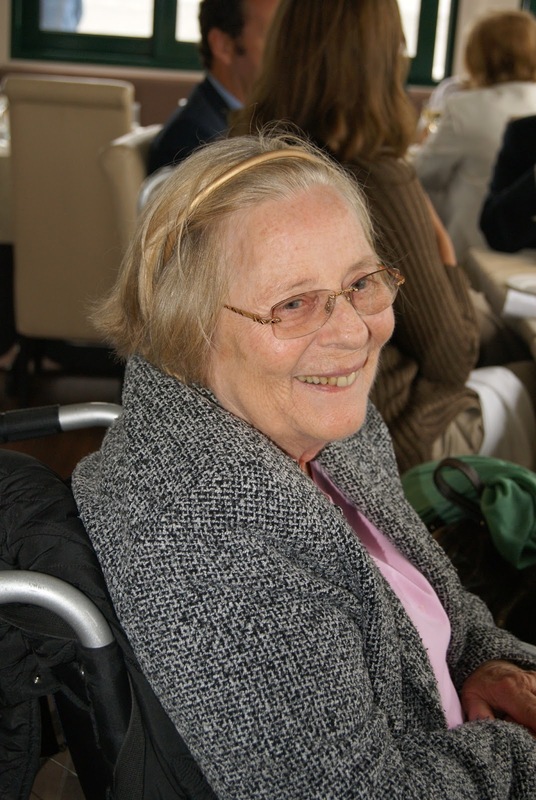 In the mid-1950s, she spent some time in London, where she worked as a nurse at St. Thomas's Hospital. She was known as Nurse von Baden. Margarita and two of her cousins, Princess Christina of Hesse and Princess Beatrix of Hohenlohe-Langenburg remained in London in the mid-1950s. 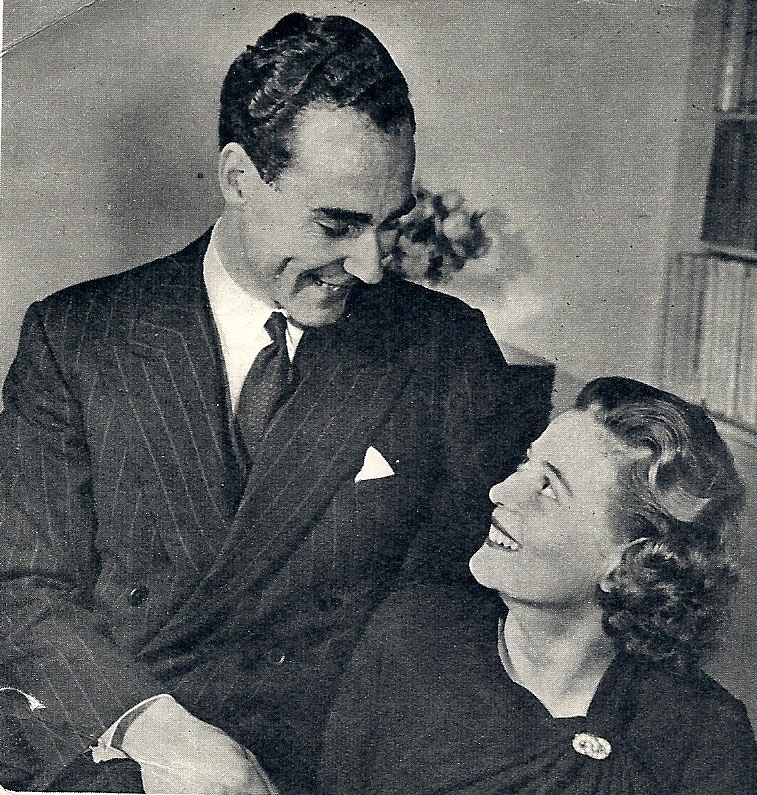 It was in London where Margarita met her husband, Prince Tomislav of Yugoslavia, second of three sons of the late King Alexander I and Queen Marie. 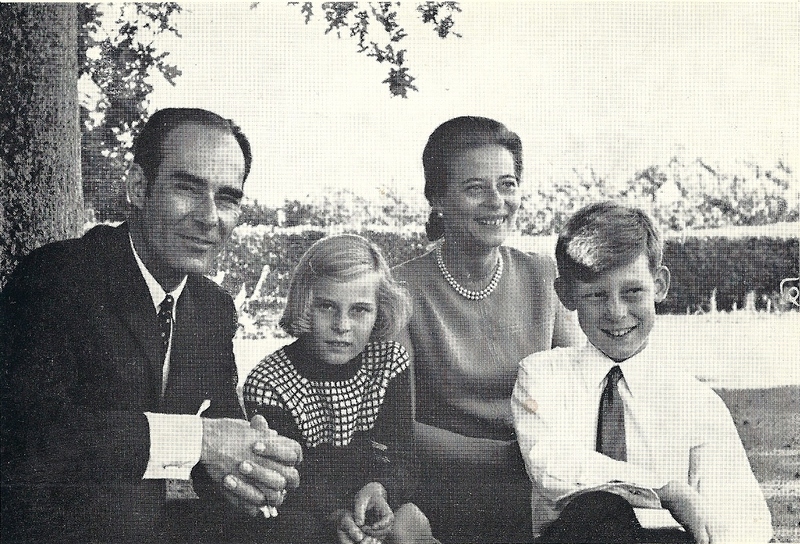 Tomislav's older brother, King Peter II, was married to Princess Alexandra of Greece. The engagement was announced on January 2, 1956. Prince Tomislav was 28 and his future wife was 24. Only five months earlier, Margarita's cousin, Princess Christina married Tomislav's younger brother, Prince Andrej. 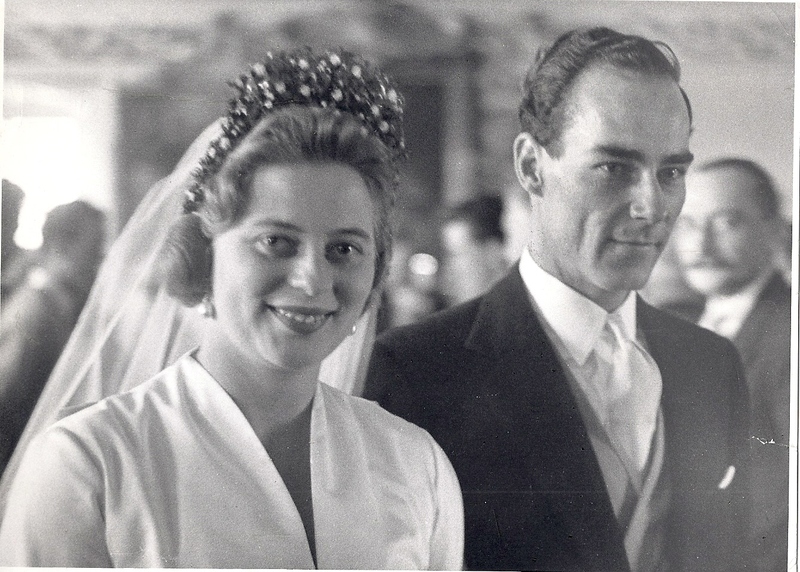 The marriage between Princess Margarita and Prince Tomislav took place in June 1957. A civil ceremony took place at Schloss Salem on June 5. That evening, the Margrave and Margravine of Baden hosted a gala ball. The following day, the couple were married according to the rites of the Orthodox church, followed by a Lutheran service. Princess Margarita was given away by her father. 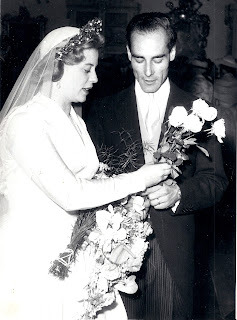 Her wedding gown was a "plain white corded silk dress with a V-neckline, long sleeves, and a full skirt, and an old family train." A headdress of orange blossoms held the long veil in place. The Princess did not have any bridesmaids, but her train was carried by her first cousins, Princes Welf and Georg of Hanover. King Simeon of Bulgaria and the Duke of Edinburgh were the sponsors at the Serbian Orthodox ceremony. 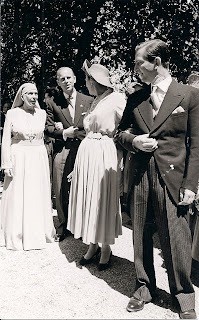 The guests at the wedding included Margarita's uncle, the Duke of Edinburgh, and Kings Simeon of Bulgaria and Umberto of Italy. Princess Margarita and Princess Christina were now sisters-in-law, as well as first cousins. Princess Beatrix was briefly engaged to Margarita's brother, Prince Maximilian, Margrave of Baden, but the engagement was broken before the wedding took place. 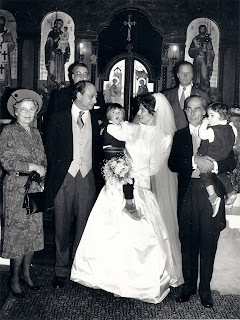 Margarita and Tomislav, who settled in England, had two children, Prince Nikola, who was born in 1958, and Princess Katarina, who was born in 1959. The couple's marriage ended in divorce in 1981. Princess Margarita remained close to her uncle, the Duke of Edinburgh, and also maintained very good relations with Crown Prince Alexander of Serbia. Hmm - wonder how many people noticed the 'one great grandchild'. I assume this must be Nikola's then ? If you look for Princess Margarita´s images in Google you will find several pictures of Margarita. You can see as well a picture of Prince Alexander of Serbia with a lady who seems Princess Margarita, that lady is......Marlene Eilers Koenig. Has nobody said to you that you look Princess Margarita of Baden ? I wonder if any BRF members will attend her funeral as it is behing held in London.. I saw the photo this morning, first on Bild (which has removed it) having written to both. I know you are younger than Margarita, I just said you look like her, age´s difference is evident !!! but other people didn´t notice that !!!! James, Yes, I know this. Maria apparently has a second child as well now. Nikola has no contact with his daughter. This will make you laugh ..
Will Princess Madeleine's wedding be private? It's a boy .. and a boy! Is Prince Laurent about to lose his appanage? A look back at family snaps! Francis of Teck to marry a brewer's daughter?